In just two years, NYU Stern has lifted the number of full scholarships from zero to 34 for high-achieving/low-income business students who are admitted to the School’s Undergraduate College. Named “The Access Initiative,” the effort marks a radical change in the School’s ability to open its doors to the most promising young people with extreme financial need. Since joining Stern as dean in 2010, Henry, an economist, has sought to narrow the widening economic gap that limits educational opportunity based on income. Leonard N. Stern’s landmark gift in February of 2015 established the first full-need scholarships and has since been followed by several donors, including Ed Barr, and Marie-Josée and Henry Kravis, among many others. To date, Stern has raised more than $100 million as part of the University’s “Momentum Campaign,” which in total has raised more than $500 million toward its goal of $1 billion exclusively for scholarship aid. NYU President Andrew Hamilton has made educational affordability a top priority since his arrival in January 2016. Early actions have included the lowest increase in year-to-year cost-of-attendance in 20 years, freezing room and board at 2015-16 levels, and committing to a $15/hr minimum wage for student workers. 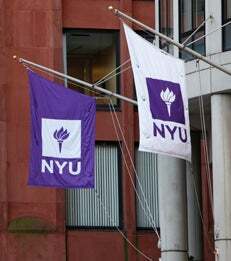 He also appointed an Affordability Steering Committee to explore strategies to reduce the cost of an NYU education without hindering the University’s research and educational missions.